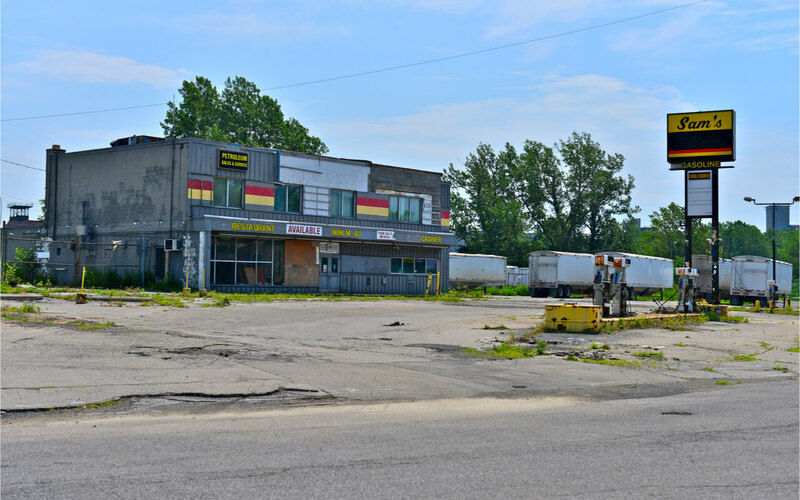 One of the biggest challenges facing the United States today is the growing economic disparities between different regions of the country. In 1980, just 12 percent of Americans lived in metropolitan areas with a mean family income more than 20 percent higher or lower than the national average. By 2013, more than 30 percent did. Today a handful of metros—cities such as San Francisco and Washington, DC—have mean family incomes 40 percent or 50 percent greater than average and more than double the average incomes in many rural areas. 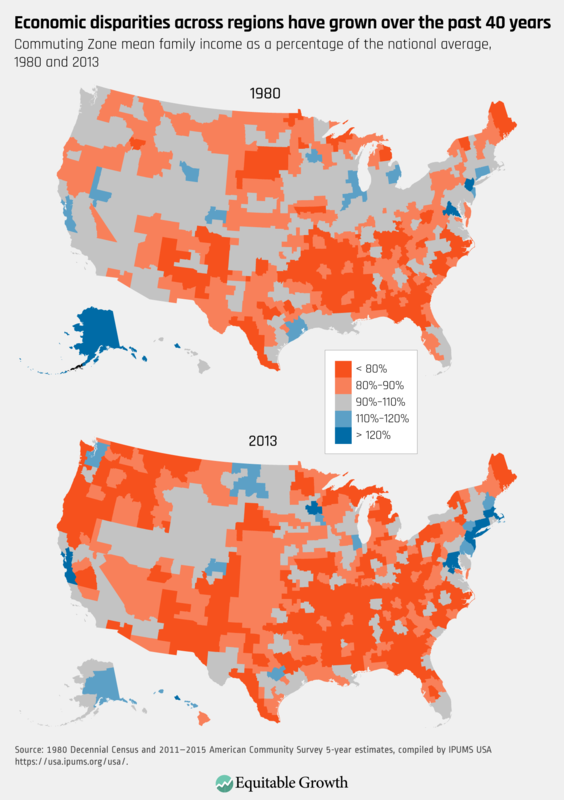 These disparities create major problems for the United States. They make it harder to form national economic policy because one interest rate and money supply must meet the needs of rich and poor places simultaneously. These disparities may be implicated in the large mobility differences between different regions of the country, as well as how the shortage of good jobs in struggling regions contributes to social breakdown. Regional disparities also increasingly shape our politics: Hillary Clinton famously won counties collectively producing almost two-thirds of GDP despite losing the 2016 election. In a new paper, I investigate the processes driving this regional divergence. Most previous research has emphasized the role of income sorting—the process where people of different income or education levels have come to live in different cities from one another—in contributing to economic divergence between regions. This sorting could result if some cities offer lifestyle amenities that are more attractive to high-income workers, if the geographic distribution of well-paying jobs is changing, or if high housing prices are preventing people from moving to prosperous areas. I show, however, that a much bigger portion of the growing disparities is due to rising income inequality at the national level. Since 1980, the richest 1 percent of Americans have seen their real pretax incomes triple, while the poorest half saw theirs increase by just $200. As their incomes have gone up, the rich have pulled the average incomes of their hometowns up with them. 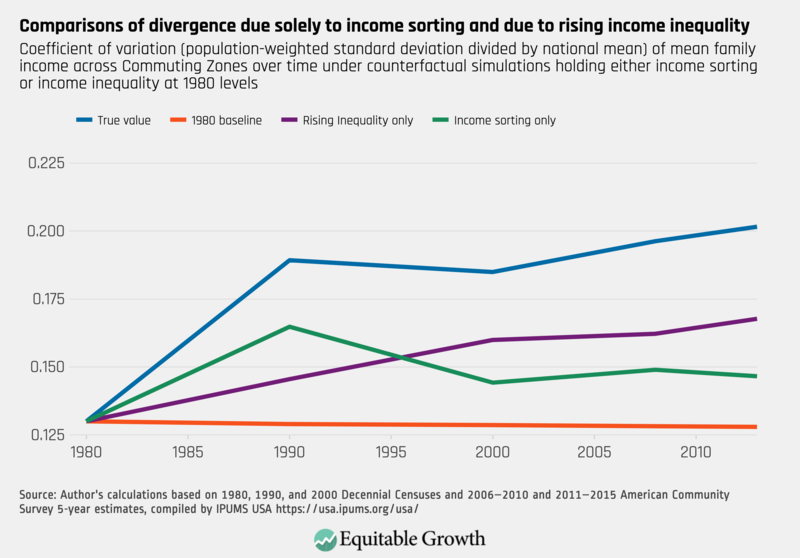 That process is much more important than income sorting in accounting for the diverging incomes across regions: If inequality hadn’t gone up, sorting alone would have resulted in less than a quarter as much divergence as actually occurred. But even if there had been no sorting whatsoever, growing inequality on its own would have resulted in more than half of the divergence the country has experienced. To see the difference between sorting and inequality, consider a hypothetical country with two cities, City A and City B. (See Figure 2.) To begin with, in panel 1 of Figure 2, these cities have similarly shaped income distributions but City A is poorer, with a mean income of $8, and City B is richer, with a mean income of $12. Now imagine that the country experiences an episode of income sorting, shown in panel 2. High-income people move from City A to City B, while low-income people move in the opposite direction. As a result of this sorting, the level of inequality within each city goes down, while the average incomes of the two cities grow further apart. 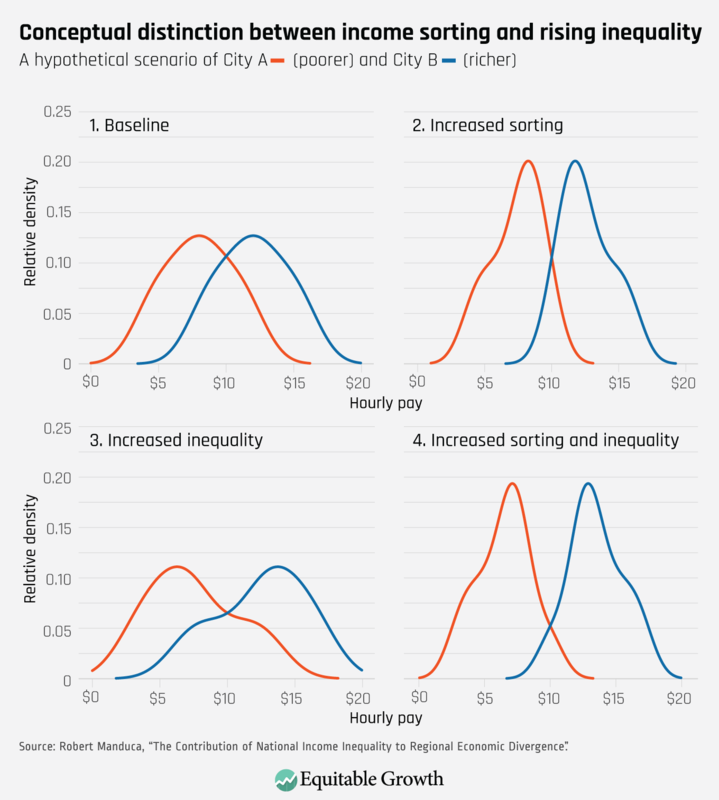 In this scenario, the increased sorting reduces the mean income in City A to $7.40, while that in City B rises to $12.60. Next, consider an increase in inequality at the national level, shown in panel 3. In this case, rather than moving between cities, everyone stays where they were, but the national distribution stretches out, such that everyone earning less than the national average sees their income fall by $1 while those earning more see theirs rise by the same amount. Even though inequality rose for the whole nation at once, City B saw a net benefit while City A saw a net loss. This is because City B was richer than average to begin with, so it captured a greater share of the benefits from nationally rising inequality, while City A was left with a greater share of the costs. Rising inequality at the national level pulls the average incomes of the two cities apart, with that of City A falling to $7.50 and that of City B rising to $12.50. Importantly, the change in the average incomes of the two cities is similar across these two scenarios, even though the driving process, and the resulting income distributions within each city, are very different. Which type of process dominates is an empirical distribution that depends on the initial levels and subsequent trends in sorting and inequality. Of course, both processes could happen at the same time, as shown in panel 4. In that case, the average incomes of the two cities diverge by more than in the previous two scenarios combined. 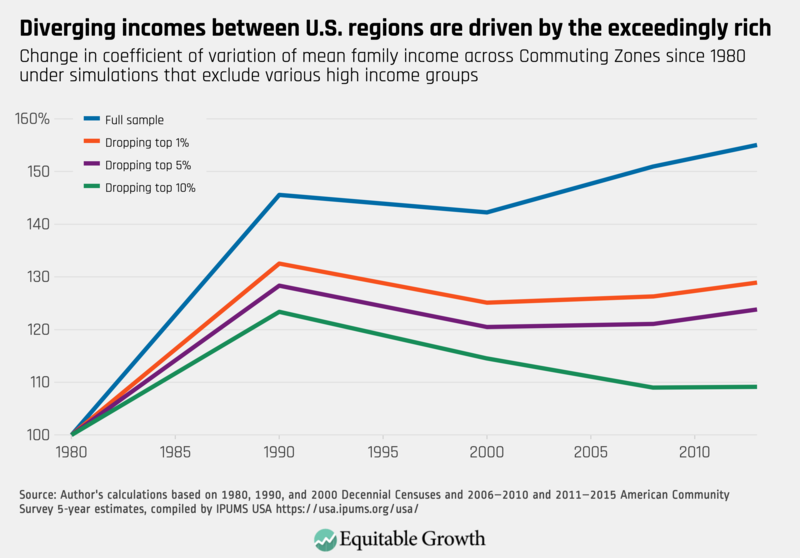 Together, these results imply that growing inequalities between regions of the United States should be thought of first and foremost as the spatial reflection of growing inequalities between people. 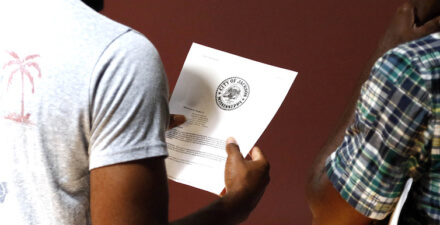 Many policies that have been proposed to reduce regional disparities attempt to undo the sorting process, whether by making it easier for low-income people to move to booming metropolitan areas, subsidizing employment in struggling regions, or directly relocating government jobs there. My paper suggests that all of these policies may be beneficial, yet would probably not solve the problem. Divergence in incomes across regions is more the result of changes in how much money people make than changes in where they live. As the top 1 percent of income earners accrue a larger and larger share of the national economic pie, the regions where they happen to live experience out-sized income growth and pull away from the rest of the country. 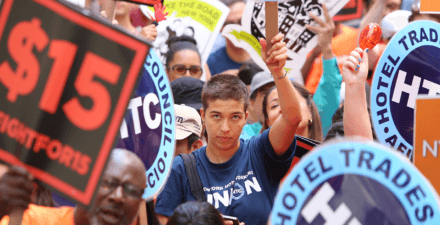 Narrowing these regional income disparities between different places will be almost impossible without also reducing the income disparities between people in general. Conversely, policies aimed at reducing income inequality at the national level will also reduce the gaps between places at the same time.